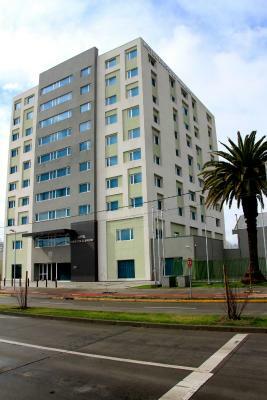 Lock in a great price for Hotel Diego de Almagro Chillan – rated 8.7 by recent guests! great value for money. this is the local equivalent of a holiday Inn. 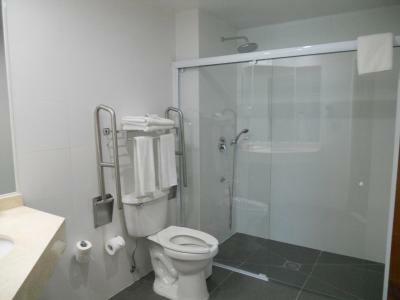 large room, clean bathroom. good bed. 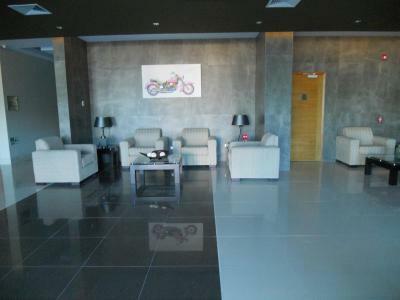 A no-frills business style hotel. 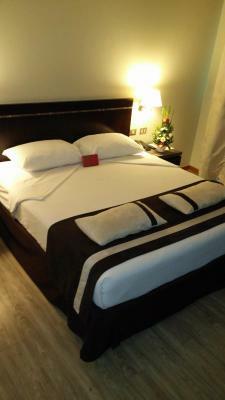 Rooms were clean and the beds comfortable. Breakfast was more than adequate. Pleasant hotel in walking distance to the Cathedral. Great for a stopover on the way to or from the South. Extremely comfortable hotel. Clean. Modern. Great place to spend the night while traveling to the south of Chile. 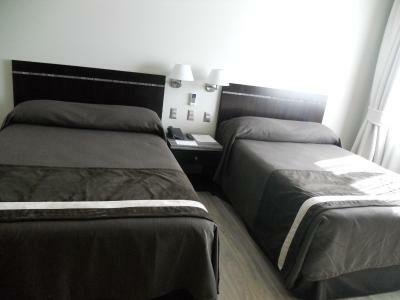 Really close to the train station, new hotel, well designed rooms. 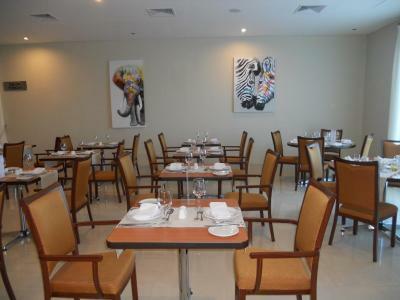 Nice hotel, and a very good restaurant on the premises. 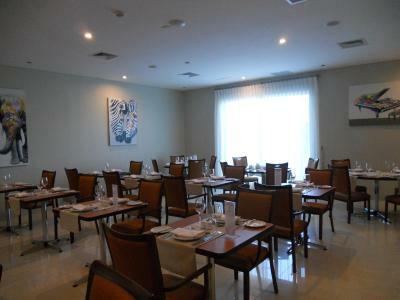 People is Really nice , The Hotel is clean good to stay there I’m happy about this Hotel..
Hotel Diego de Almagro Chillan This rating is a reflection of how the property compares to the industry standard when it comes to price, facilities and services available. It's based on a self-evaluation by the property. Use this rating to help choose your stay! One of our top picks in Chillán.Featuring an outdoor pool and a restaurant, Hotel Diego de Almagro Chillan offers accommodations with free WiFi access in Chillán. 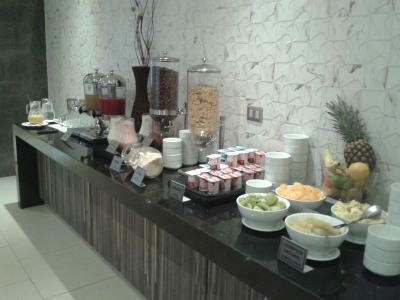 A complimentary breakfast is served daily. 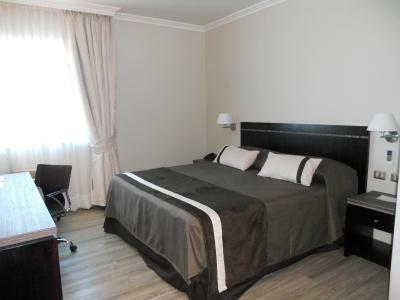 Rooms at Hotel Diego de Almagro Chillan feature garden and pool views and are equipped with private bathroom facilities, a safety-deposit box, a flat-screen TV with cable channels, air-conditioning and heating. The property offers free parking, subject to availability. 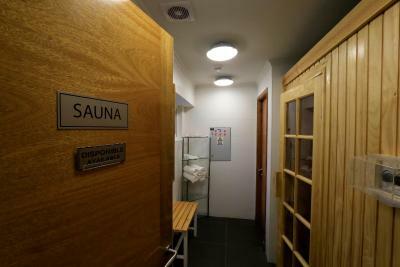 Guests at Hotel Diego de Almagro Chillan will also find a sauna and a room with fitness equipment, which guests can enjoy at no extra cost. 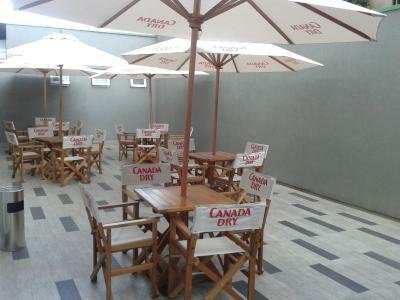 the property also features a terrace, where guests can enjoy a drink while breathing some fresh air. 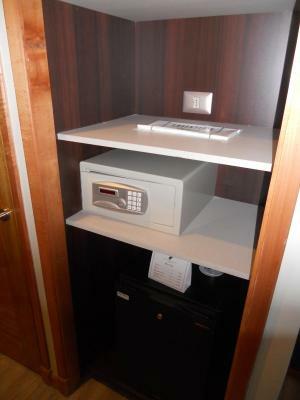 The property features a 24-hour front desk, complete with a concierge and free luggage storage service. General Bernardo O'Higgins Airport is 4.3 mi away. 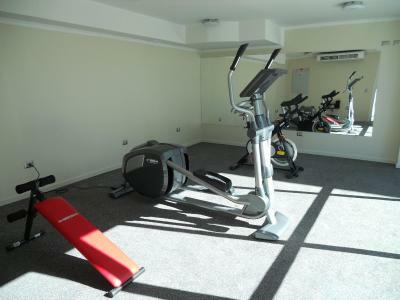 This property is also rated for the best value in Chillán! Guests are getting more for their money when compared to other properties in this city. 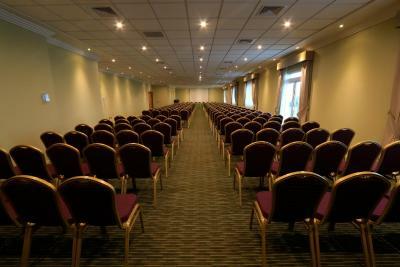 When would you like to stay at Hotel Diego de Almagro Chillan? 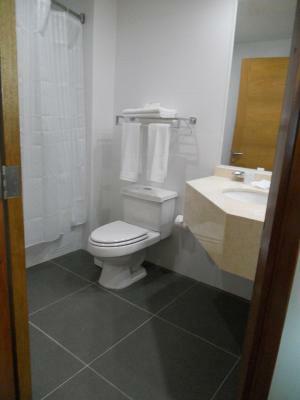 This room has heating a private bathroom, a safe and a cable TV. 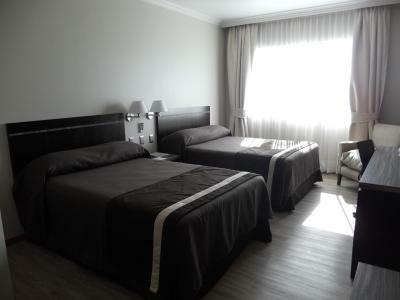 This twin room has air conditioning, a private bathroom and cable TV. Part of the Diego de Almagro Chain, inaugurated on 6th January 2015. House Rules Hotel Diego de Almagro Chillan takes special requests – add in the next step! Hotel Diego de Almagro Chillan accepts these cards and reserves the right to temporarily hold an amount prior to arrival. 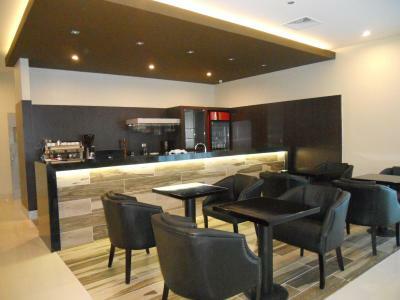 - The property offers limited free parking spaces, which are subject to availability. 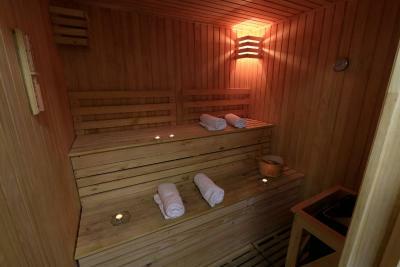 - The property's swimming pool is seasonal and will only be available from November 12th to March 31st. Please note that the full amount of the reservation is due before arrival. 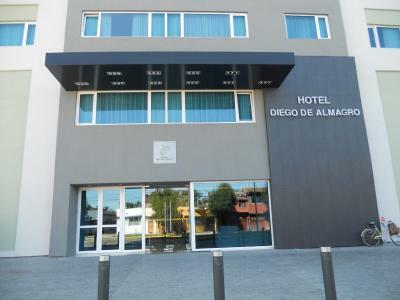 Diego de Almagro Hoteles will send a confirmation with detailed payment information. After full payment is taken, the property's details, including the address and where to pick up the keys, will be sent to you by email. The staff, it seems that they don’t like working there. The breakfast is really basic, bad coffee and bad eggs. They where on a strike and no apologies or anything, charging the full amount and when I complained about the noise the answer was “I’ve been here all day, imagine my head”. Nothing to say, exactly what I expected. Confortable and clean. 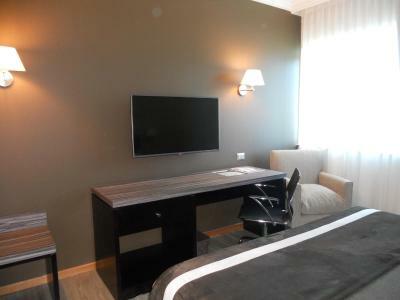 A really business hotel. The pillows were not to my liking. Clean and comfortable. Staff very attentive. Apparently the staff does not consider the comments in the reservation. Always I have to ask for more towels, for example. Always they give me this kindly, anyway. The eggs at DA Hotels are always COLD. As always at DA hotels, the staff was excellent.